Thank you for submitting your item for appraisal. 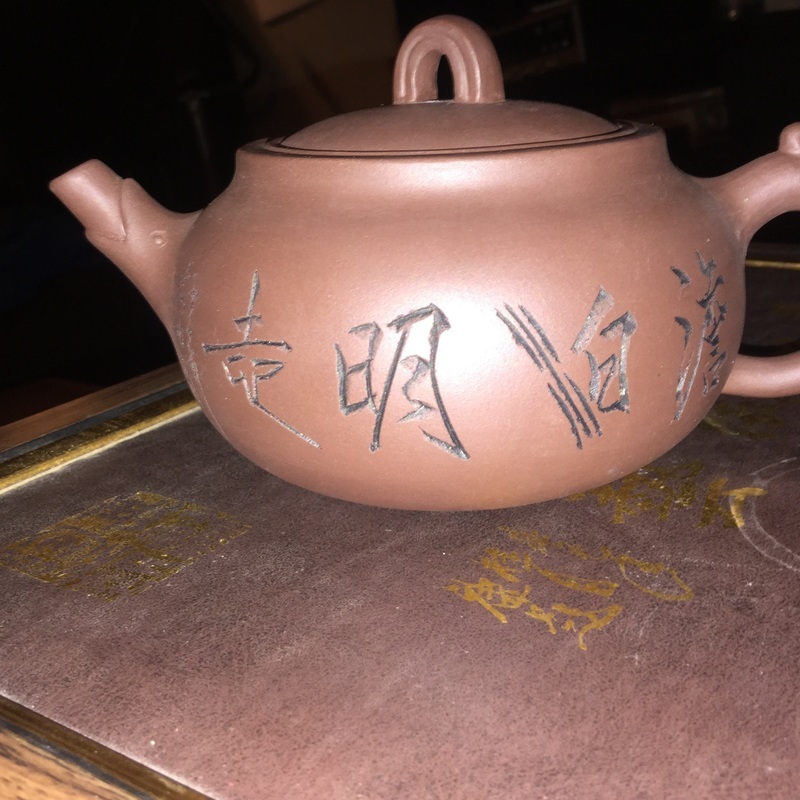 This appears to be an Yixing zisha 宜興紫砂 tea set of recent production, with incised design, in the original presentation box, marked China Yixing Xintang Du Ceramics Co., Ltd.中国宜興新汤 渡 陶业作杜出品. Yixing ware is quite famous in China and is collected the world over. The estimate is based on similar items offered or sold at auction.